It seems like anything Nick Hufft touches turns to gold. 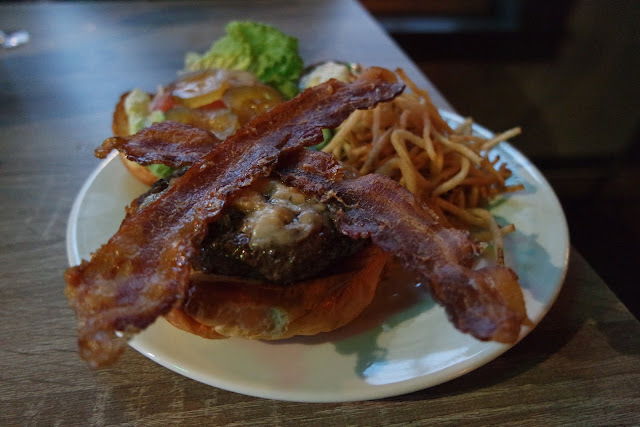 Those familiar with the Baton Rouge food scene fondly remember and dream about Curbside Burgers, and once Nick crafted the menu for Barcadia, there was nothing keeping us from drinking some beers, playing some arcade games, and chomping down on one of Baton Rouge's best burgers. So when we heard Nick Hufft was the co-owner and culinary mind behind The Merchant, we couldn't wait to get in there and see what it was all about. Situated near the Perkins Road overpass in the former Zee Zee Gardens building, the Merchant, or the Overpass Merchant as it's sometimes referred, opened a few weeks ago and is serving up a soft opening menu worth trying and a rotating beer and cocktail menu. It's amazing what a fresh coat of paint and a little (a lot) of renovating can do to a place. The building looks totally transformed, the interior impeccably styled with design and comfort in mind and the exterior boasting an outdoor patio perfect for sipping cocktails and watching cars rumble down Perkins. Recently, Jay, Blair, Chuck, and I got to grab dinner and beers at the newly opened Merchant, and we were pretty impressed with not just the food, but the overall vibe. I'm of the opinion that Baton Rouge could always use a few more cool hangouts, and I can definitely see myself making the Merchant my new spot. 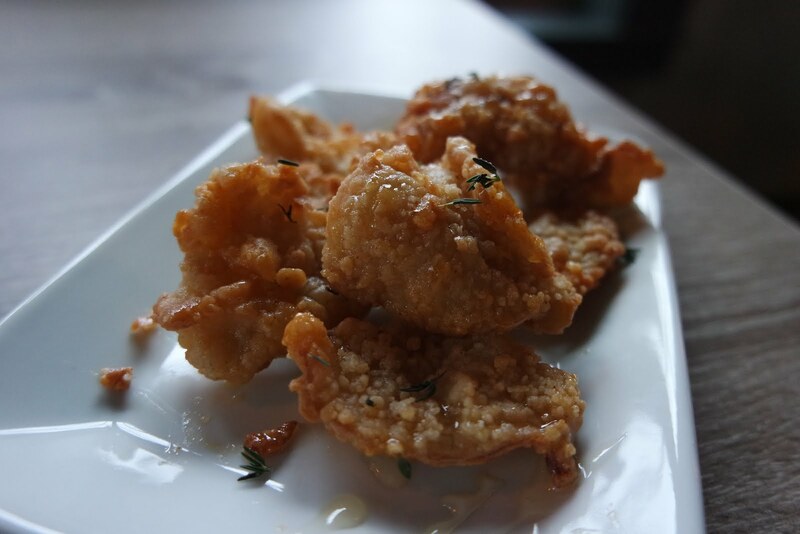 We started with the chicken skins, topped with in-house hot sauce and local honey. These crispy little bites of savory and sweet crunch were the perfect snack to start off with. 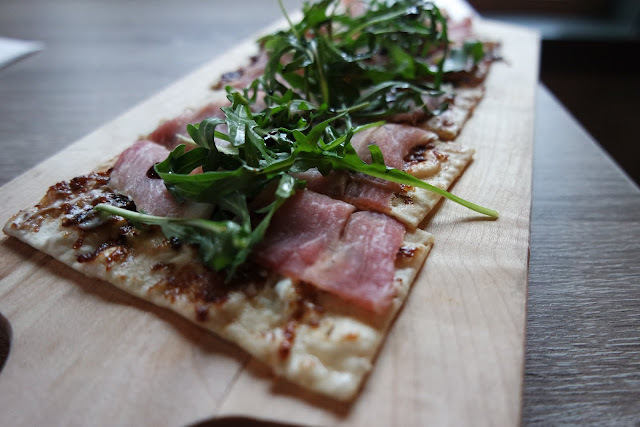 Next, we tried the country prosciutto flat bread with fig jam, whipped goat cheese, and arugula topped with aged balsamic. The combination of the salty prosciutto and the sweet fig jam made for a tasty bite that I think would pair really well with the Merchant Mule, a frozen play on the classic. I'll definitely be ordering this again. Next came the broiled oysters, which I passed on (not the biggest oyster fan). 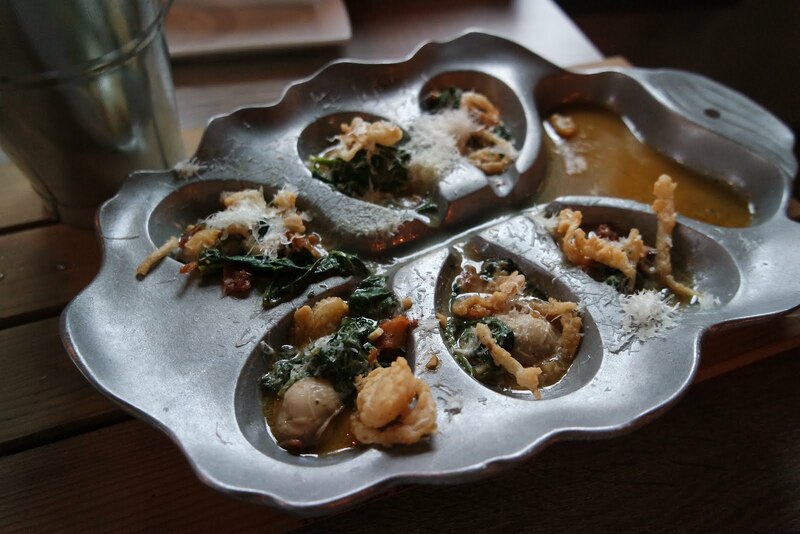 They came served in a bed with fried shallots, Tasso, sautéed spinach and Romano cheese with crostini, and the table had no problem scarfing each oyster down. If there's anything I've learned from watching Anthony Boudain shows, it's to avoid fries at all costs. 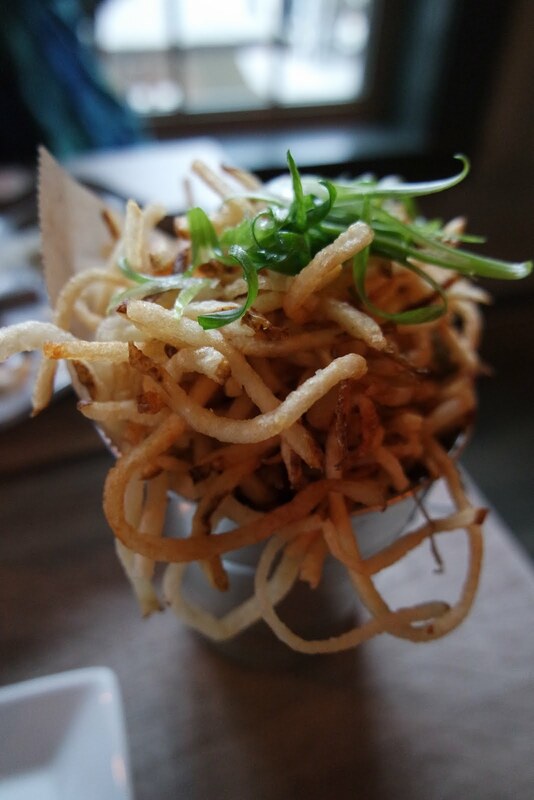 Normally I don't eat fries, but these frites with a roasted garlic aioli were so snackable. I found myself grabbing fistful after fistful until they were nearly all gone. We tried two different salads at Merchant, but the one called salad #1 was my favorite. 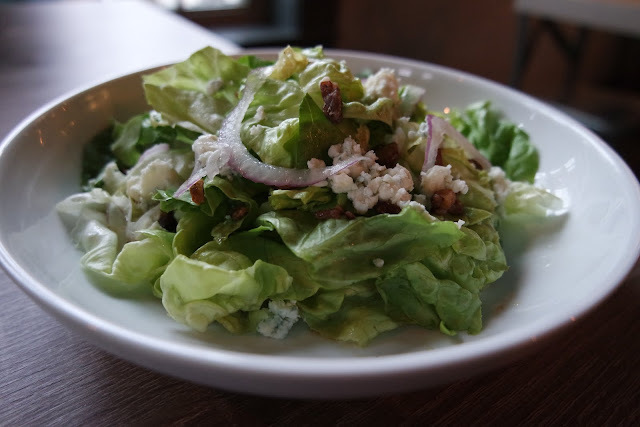 With butter lettuce, bleu cheese, red onion, spiced pecans, and a cane syrup dressing, this salad might make this year's Month of Salads. 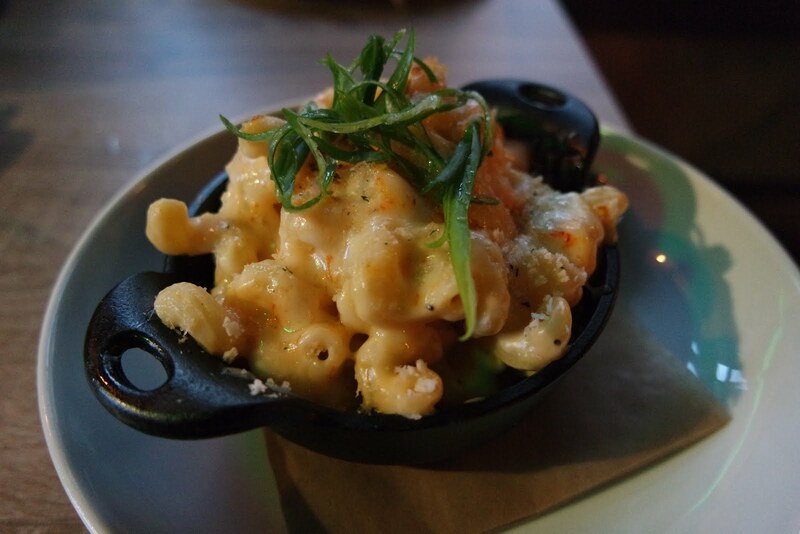 It's safe to say that I'm always down for some mac n cheese, and this one did not disappoint. With two different kinds of cheese, it's easy to see why I had to nearly fight Blair off with my fork for a bite. Chuck lives for burgers, and by this point we were all getting full. Chuck tackled this burger like a seasoned pro, and attested that it met all the standards we expect out of a Nick Hufft burger. My favorite dish thus far was the Merchant's take on shrimp and grits. 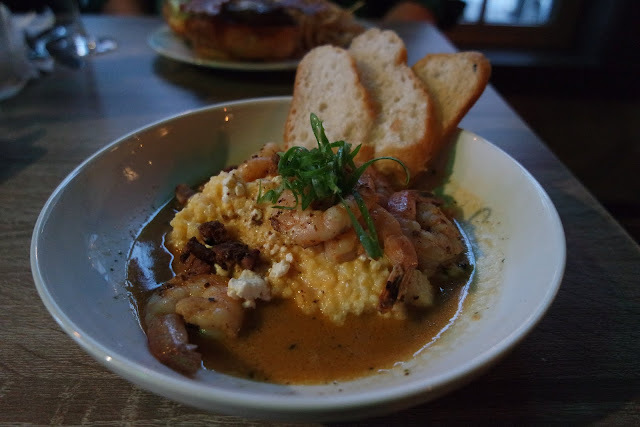 Big, flavorful barbecue shrimp came served on a pile of goat cheese grits, and I ate most of them. Normally, I don't get excited about shrimp and grits (I think it can be overplayed) but this was probably the best version of this classic I've ever tasted. 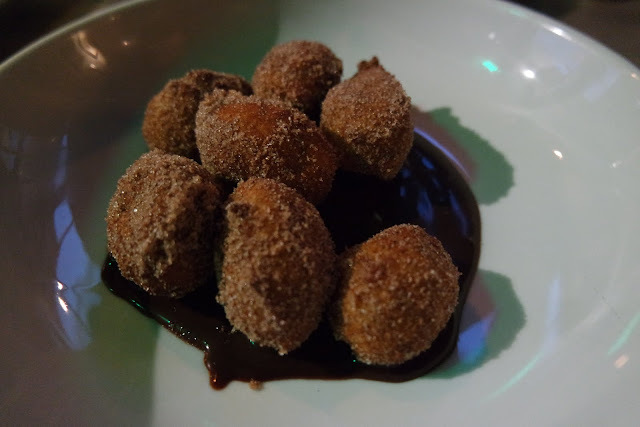 For dessert, we tried the churro bites with a Rum Chata ganache, and they were truly transcendent. Thankfully Blair isn't into sweets, because Jay, Chuck and I woofed all of these sugary, cinnamon-y bites down. We try not to write about restaurants in their soft opening phase, because generally the staff and kitchen are still working out kinks and perfecting service. But if Merchant's soft opening is any indicator of what's to come, we're hopeful.